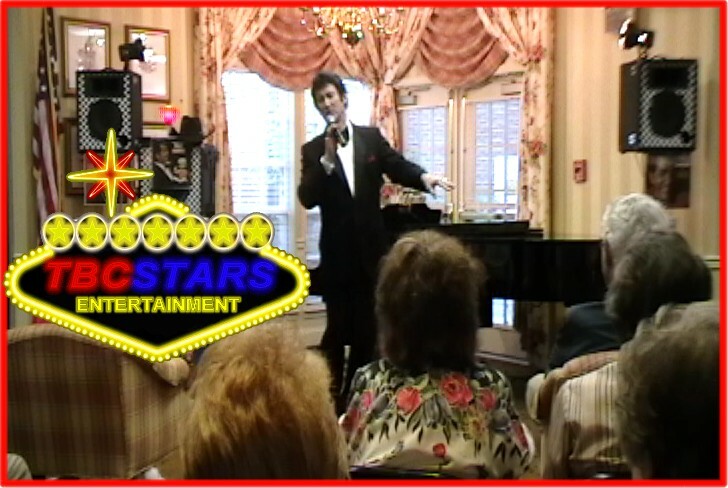 Club, Casino and Corporate Shows, "Roasts," Private Parties and Celebrations " and Christmas Holidays Shows, too! 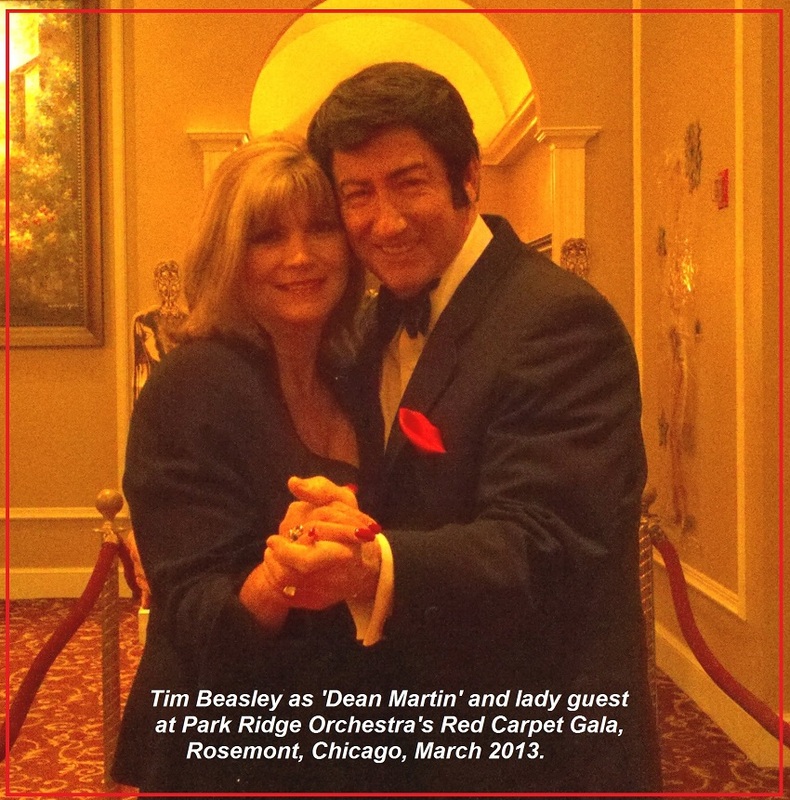 Growing up in the mid-60's as a young teen fan of Dean Martin, Tim Beasley was a true first- generation fan of the man they called "The King of Cool." 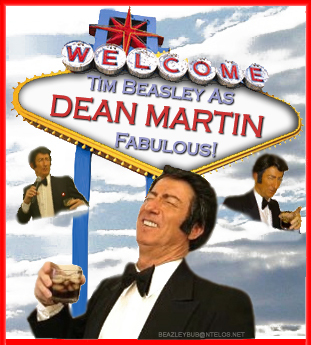 On Thursday nights at 10 PM on NBC, Tim would delight in getting to stay up and watch "TV for grown-ups!" 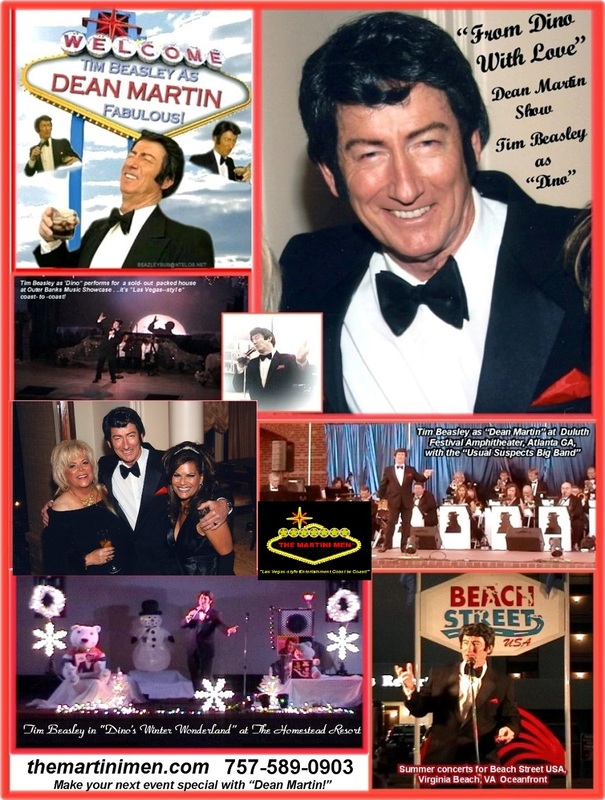 Tim knew this hour-show of Dean Martin's sophisticated fun, laughter, music regularly seasoned with a bit of clever naughtiness was way beyond the usual garage-band racket of other earlier evening shows catering to teens... 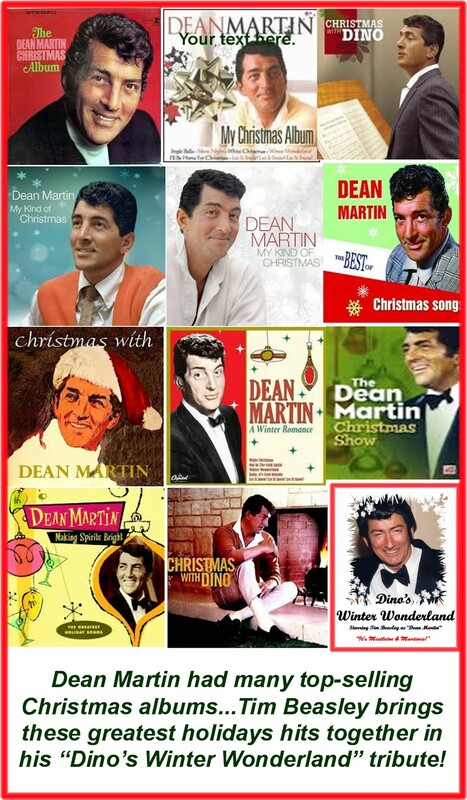 Watching, listening and learning how Dean delivered those oh-so-smooth croons and leading-man moves gave Tim a valuable skill in taking charge of any stage!...after all, Dean was the Master! 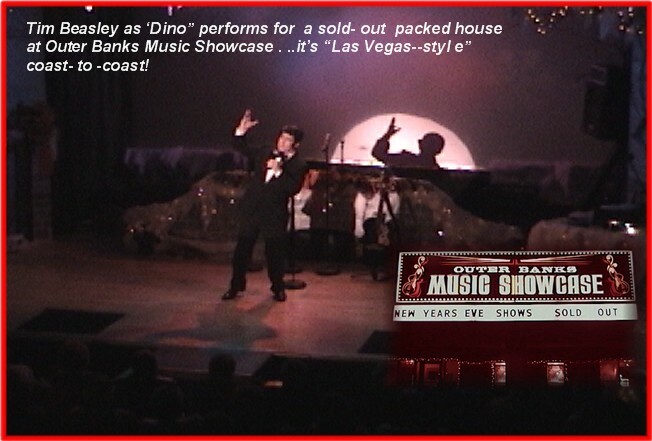 This show features all of the top Dino hits you'd expect delivered smooth and smokey, like a fine bourbon, and seasoned with those winking funnies in between the songs. 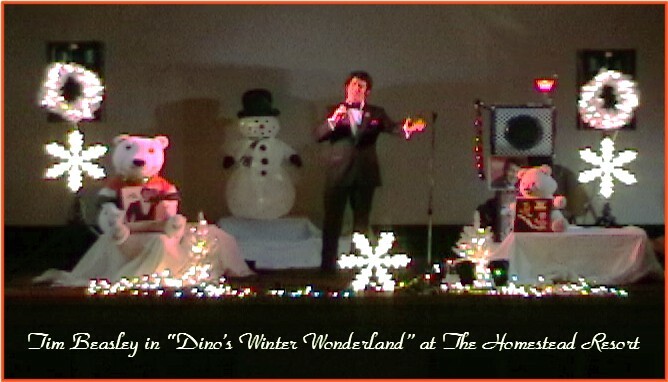 Decked out in dapper tux, "Dino" is dressed to kill as they say, and fits glamor galas like a fine Italian leather glove! Special Vegas-themed party event rates!!! Christmas Holidays and New Year's Eve Shows. "Dean's Winter Wonderland" is always a favorite! Booking nice and early for 2019 - 2020 with many choice dates still open! See much more on this below! 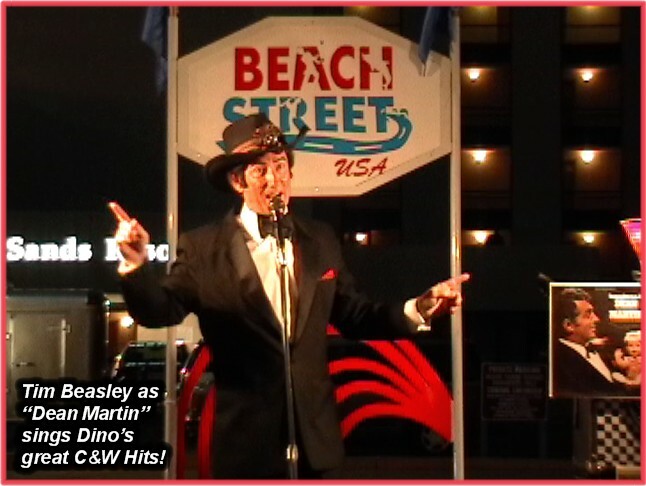 Show is performed with Tim Beasley singing his live vocals, in impression of Dean's voice and range, and also a visual impersonation in Dean's stage presense of similar build, hair and facial features accented. 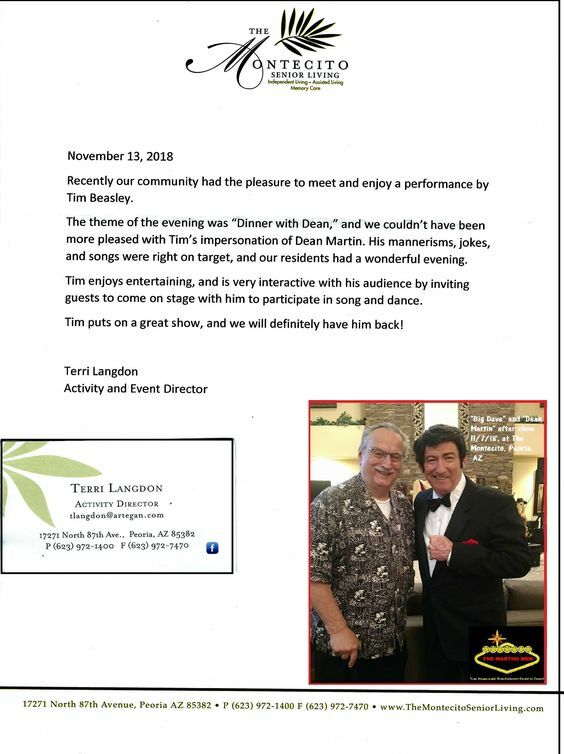 By the way, Tim just happens to be the very same-sized man as Dean, at 6' tall and 180 lbs, and in a sharp tux his appearance is stunningly realistic...audiences are heard to respond with "ooohs" and "aaahs" followed by resounding applause as "Dean" steps into the spotlight! 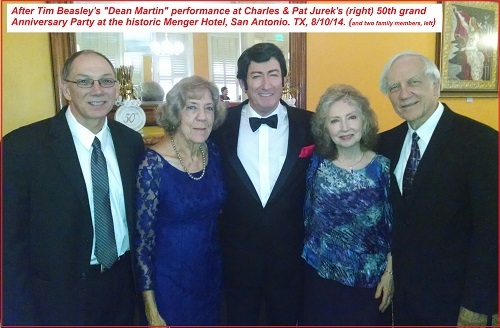 Singing into a professional Shure brand microphone, the vocals are mixed with prerecorded "backing tracks" from a CD, or similar media to effect the sounds of being accompanied by a full orchestra, and reproduce the legendary live shows Dean Martin was known and loved for. There are two types of performance offered. 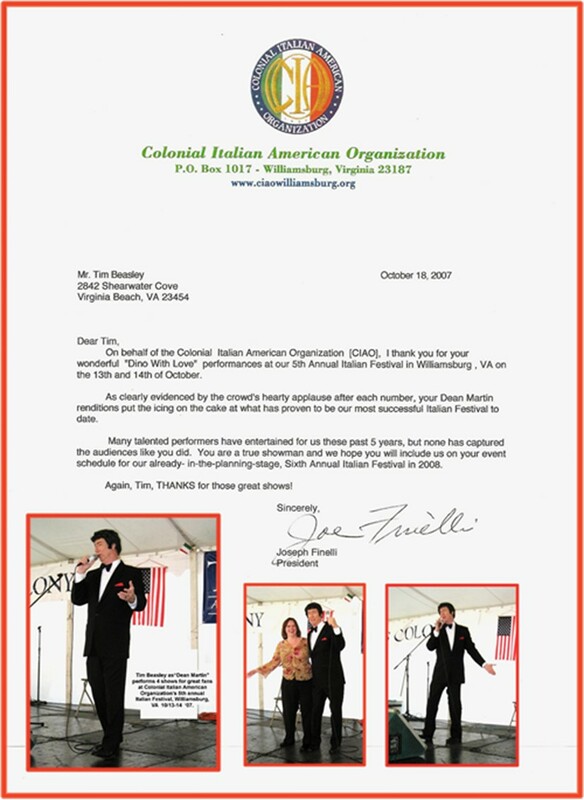 The "big show" is a concert-style performance in theaters, ballrooms with a stage -riser, the other is for smaller, more intimate surprise parties like birthdays, anniversaries, promotions, retirements and other celebrations. We'll outline these for you and the equipment we use. The professional sound equipment needed for a great show in a smaller or medium-sized venue to entertain 50-350 guests is very basic, of about 1500 watts, and can be provided. We also have professional theater and special effects lighting to give a very sophisticated look to the show. As this is a one-man show, the performance is conveniently compact in stage area needs, so works well either on full stage or minimum of 8' X 10' but very high in visibility and feel. For a larger group, of 50 -350 guests as in a hotel ballroom or banquet hall, we suggest the Audio / Video dept at hotels and resorts venues provide the set up for the show, or have a sound re-enforcement sub contractor or DJ company do this with the types of equipment outlined. 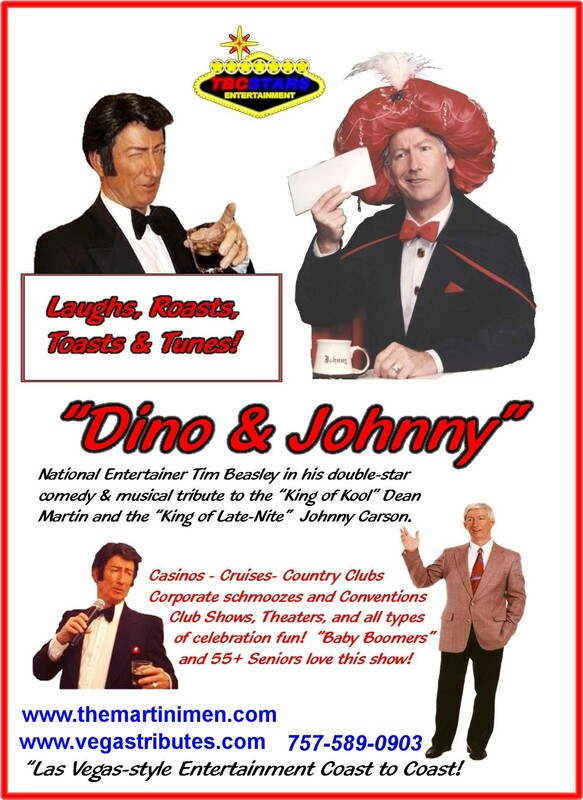 This show is a fine wine event special performance, and is a grand addition to any fun and glamorous social. 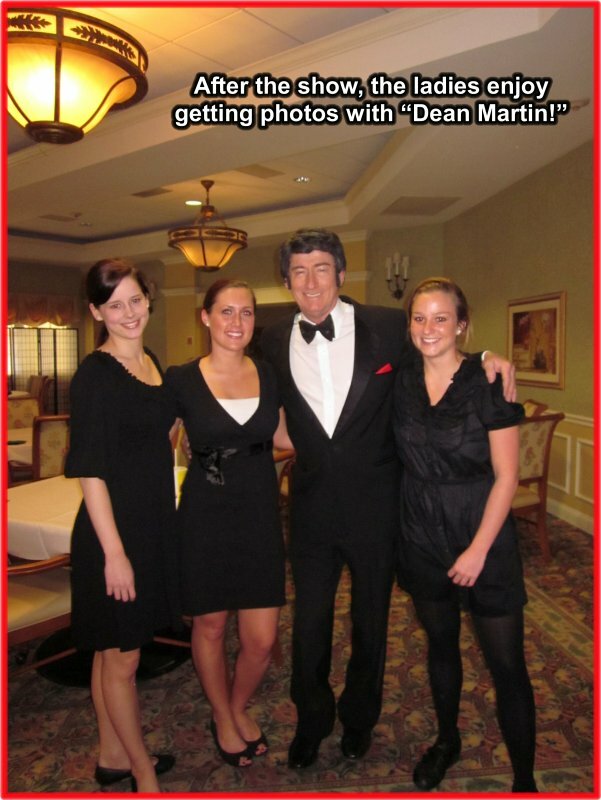 Dean's fans come in all ages, too, from senior citizens, to baby boomers, to younger fans who've dicovered what great music is! 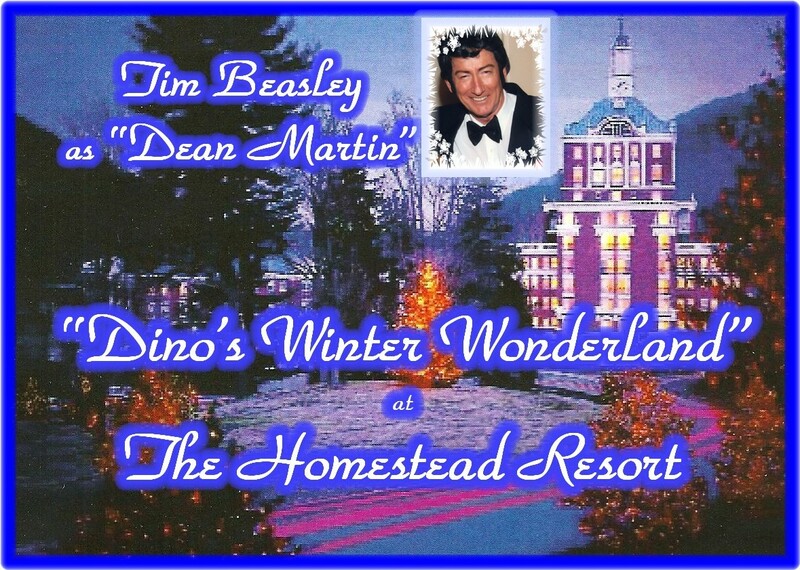 Yes, everyone will want a photo with the dapper, dashing Dino! 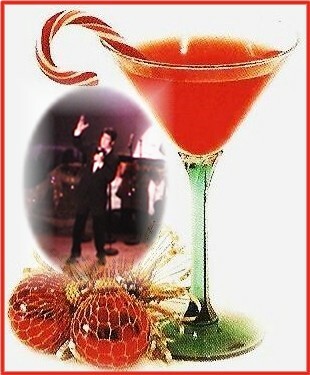 "Somewhere There's A Someone For Me"
"Little Ole Wine Drinker Me"
"Walkin' The Floor Over You"
As a really fun performance with extra-huge laughs for birthdays and other recognition / awards celebrations, you can have "Dean" emcee ala his famous super hit "Dean Martin Celebrity Roasts" TV show on your "Man or Woman of the Hour." In this you collect funny bits about your special person and "Dean" will be sure the zingers get delivered in good humor and taste. 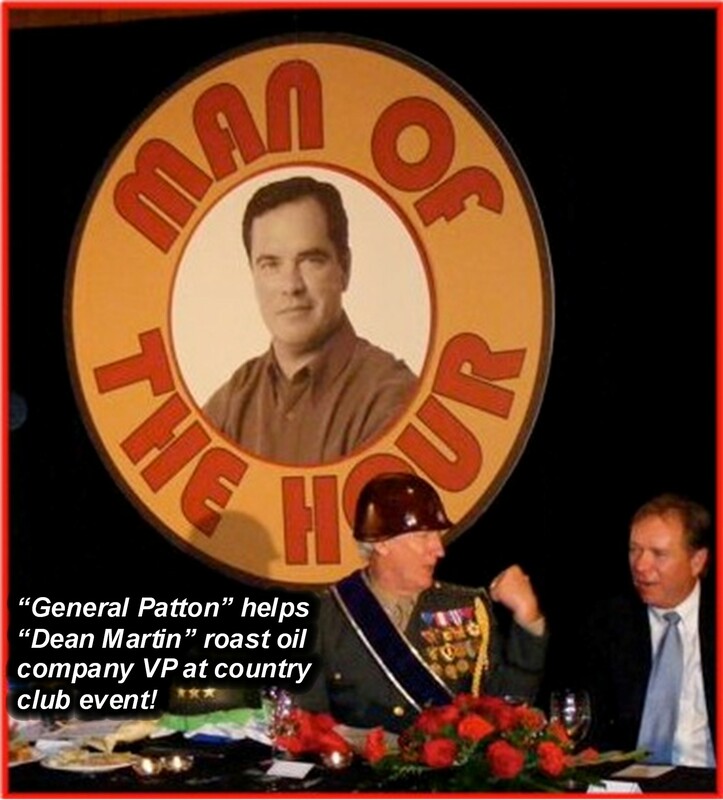 The guests all have a good laugh along with the guest of honor, who by the way, should know that being "roasted" is indeed, an honor and a testament to their good nature! ...and you can have twice the music + comedy fun!!! 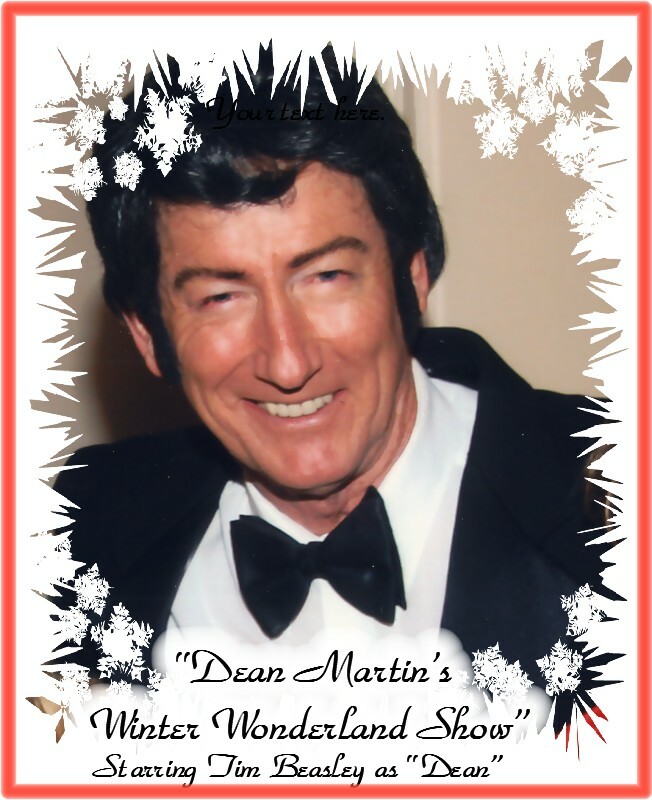 See lots more on this fun option on the "Show Highlights - Dean & Johnny" tab at top of page! 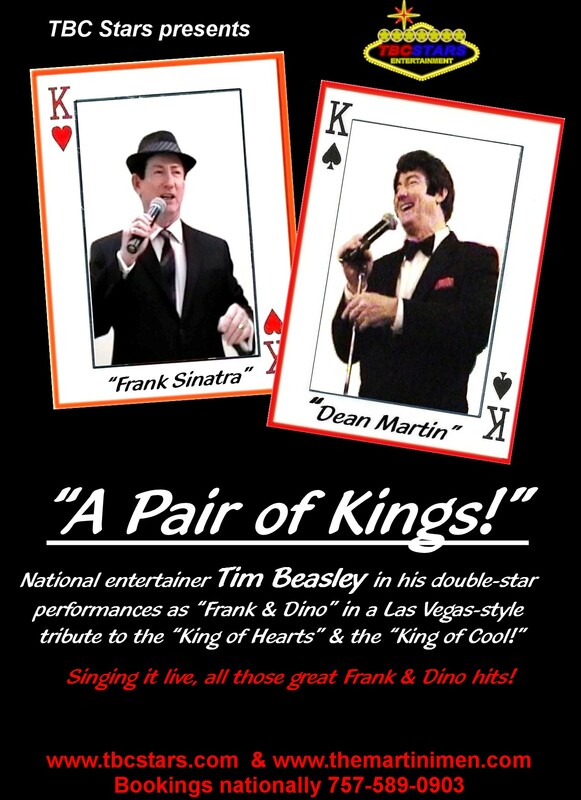 ....and how about having a winning hand with a "Pair of Kings?" 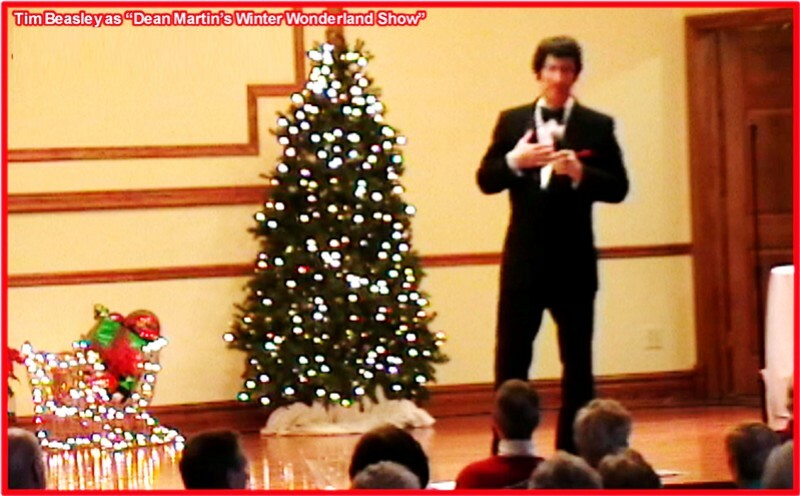 Here's a grand Christmas -Holidays special performance! New Years Eve 12/31/13 at the fabulous Four Seasons, south of Washington, DC. Was booked back in April, so we encourage you to book now if you can! 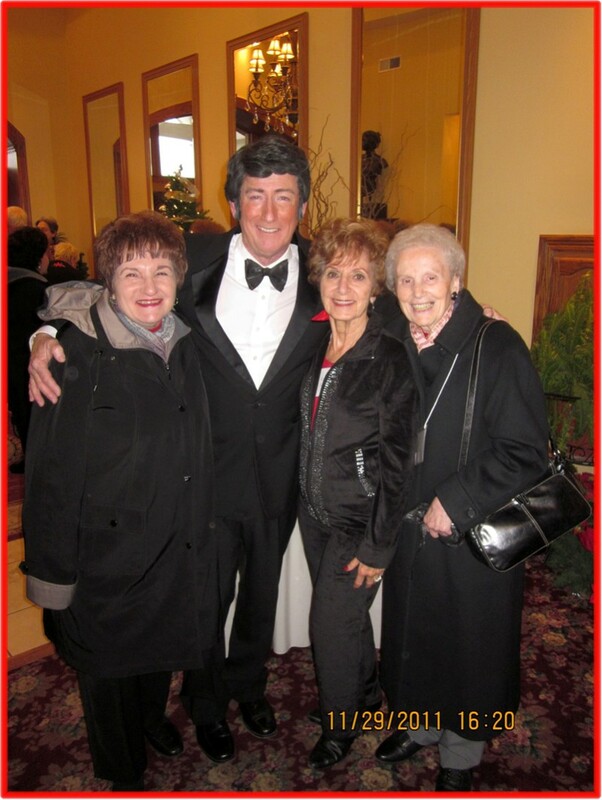 Glamorous "New York City" themed NYE party in the community's fabulous "Club Los Meganos." New Years Eve 12/31/18....Your great party? Call and make it a date!!! Because dates start filling up faster with each passing month. We have some great dates open in November -December, right now, including NYE 12/31/17. 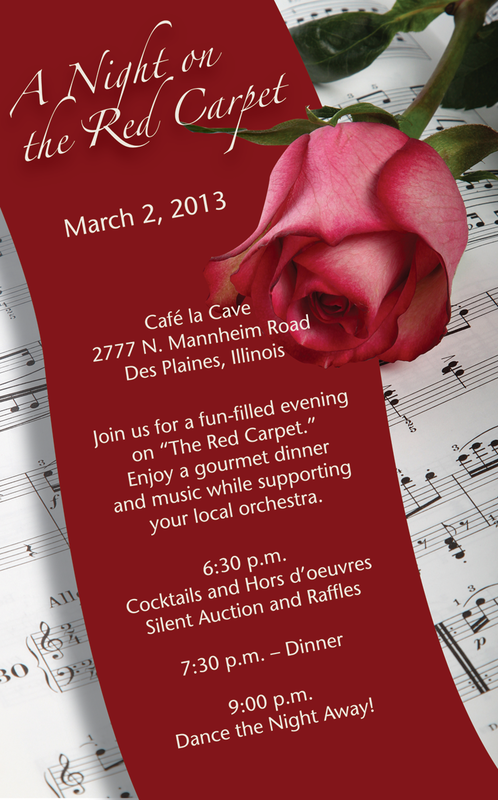 Please call, and we'll set a date for you and your party event! "Rudolf The Red Nosed Reindeer"
"Let It Snow, Let It Snow"
In the meantime, between now and Christmas, we've got a lot of country coast to coast to entertain, so give us a call and a booking for your grand event! Please call, we love to talk!....and you can text us, too!